﻿Russian Nesting Dolls by Russian Traditions. 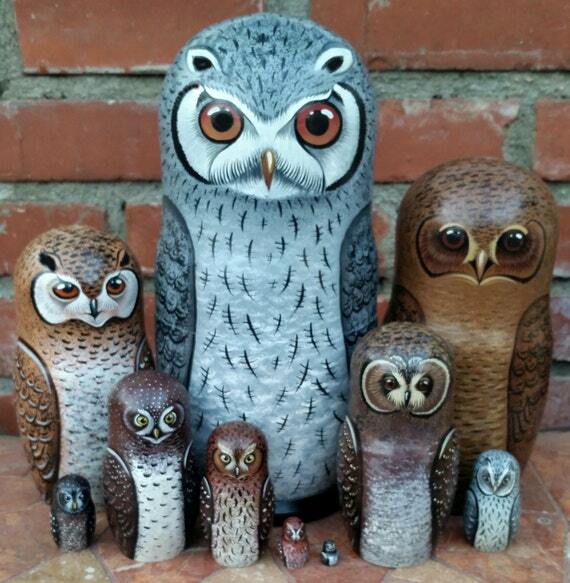 Owls of Africa on the Set of Ten Russian Nesting Dolls. White Faced.